Q: Guess What Time It Is? A: Aaron Brother’s penny sale. As if it wasn’t exciting enough, now they have added select art supplies to the mix. Buy one get one for a penny. Definitely worth reposting. I have to confess, I heard about the Aaron Brother’s Penny Sale a few years ago and my excitement level failed to reach luke warm. However, three years, two babies, a dog and a trip to Italy later, my excitement flow-eth over! As luck would have it, I happened to have an abundance of pictures that I needed framed when I stumbled into Aaron Brother’s last weekend and discovered the “buy one and get one for a penny sale”. Too good to be true right!?!? Wrong. Buy any frame and get one of equal or lesser value for a penny. 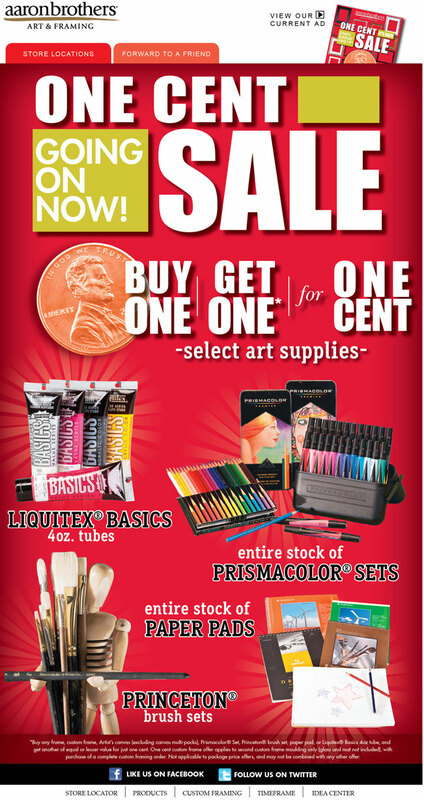 The sale runs until the end of the month and only happens once a year. SO, drop what you are doing and go! Your walls will thank you! Confession: I am constantly buying shoes for my arm candies….ok maybe a pair or two for moi as well. It is a bit of problem. Enter TOMS. Not only are TOMS shoes extremely affordable, but for every shoe purchased they donate a pair of shoes to a child in need. This is an example of what I like to call guilt-free shopping. Now if only I could write them off on this years’ taxes. 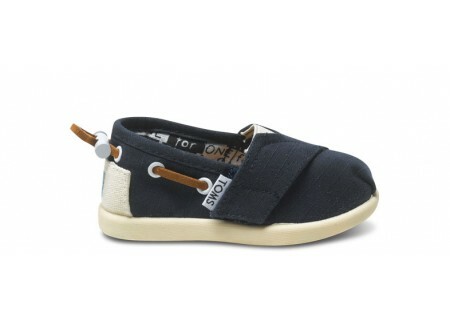 These are the adorable TOMS I purchased for my son. On a serious note, TOMS is one of my absolute favorite companies. I love the thought of not only buying shoes for my children but for children around the world. Spread the word.